Silks act for Great Gatsby Fundraiser. Using aerial rig at low height. 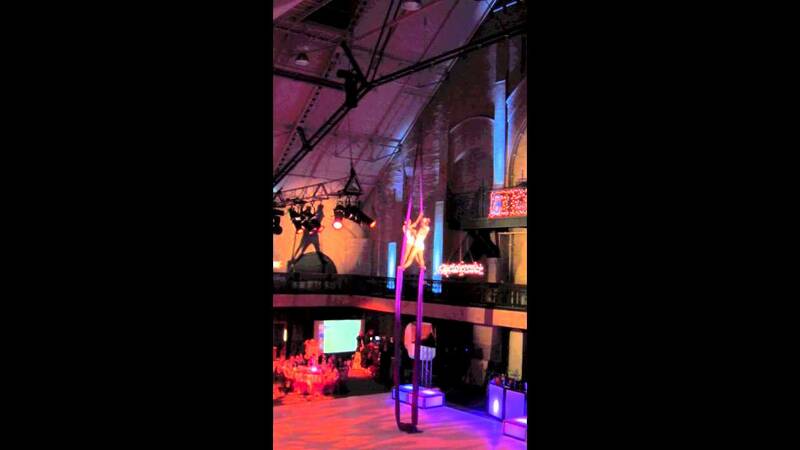 I provide solo and duo acts in aerial silks, trapeze, lyra, and cube. My performances have entertained crowds big and small at special events, galas, weddings, conventions, concerts, and nightclubs throughout the country. I raise the energy of the crowd with my passion and am talented at improvising my movement to enhance the changing music dynamics. I absolutely love what I do, and that shows through in my performances. I have my own equipment, liability insurance, and a free-standing aerial rig in case hanging from the venue is not an option. I provide a number of off-the-ground circus acts, from intimate performances a few feet up from the ground, to grand, awe-inspiring displays hanging high from the ceiling. I take pride in bringing a personal and memorable experience to my audiences, and I strive to make every event unique and relatable to you and your guests. My performance will add something edgy and daring, yet graceful and poetic to your day’s events. This can mean a show stopping “drop everything and look up” showcased act or ambient aerial sets that blend beautifully with your theme, colors, and current scene while people are socializing with cocktails or dancing the night away. 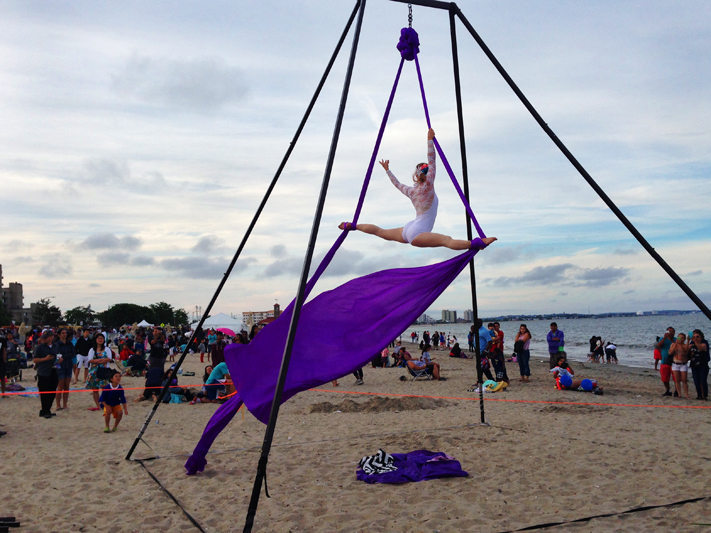 I am an aerial artist based in the New England region (but so happy to travel!). At a very young age I found a burning passion for physical artistic expression – one that I feel incredibly lucky to be able to share with others in my life. Through persistence, dedication, honesty, and lots of sweat, I’ve made teaching and performing aerial arts my career. After performing aerials and dance in the UNH Dance Company, I moved to NYC and then Boston to train and perform. Since getting my art degree, I've performed throughout the country at venues including: Fenway Park, House of Blues, Tsongas Arena, Mullins Center Arena, Foxwoods Casino, Hynes Convention Center, Boston’s Park Plaza Castle, Worcester Palladium, Taj Hotel, Artists for Humanities Epicenter, and Harvard University.